In the second of our Sonic Boom previews, we take a look at the second season’s two-part finale, Eggman the Videogame Parts 1 and 2. Sonic Revolution 2016 has announced the attendance of two more special guests to their event roster. Co-executive producer on the Sonic Boom TV series, Bill Freiberger, will be in attendance. In addition to his production role, Bill also provides the voices of Comedy Chimp and Lady Walrus, and was one of the writers on the Sonic Boom comics during their run. 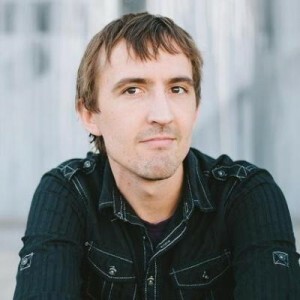 Accompanying Bill is Alan Denton, Creative consultant and writer for the Sonic Boom TV series, accredited with penning such classic episodes as “Battle of the Boybands” and “Cowbot”. We have a great episode this month. Lidice and I got not one, but TWO special guests! 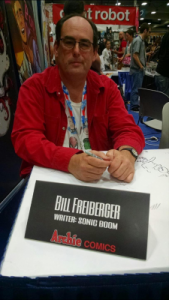 First up is Sonic Boom co-executive producer and writer on Sonic Boom #5, Bill Freiberger. We discuss all things Sonic Boom including the more minor characters. Next, with the release of Sonic Runners soft launch, I got Big Fish Games narrative designer and die-hard Sonic fangirl, Joanie Rich to talk with me about the new game and how successful the mobile industry can be. This is easily the best episode of Sonic Boomcast yet, so tune in!